THE MODEL: An app which allows users to discover events based on interests, proximity and date . Users can subscribe to the app and get to know about upcoming events of their favorite performers and venues. Also users can know what events their friends are going for. 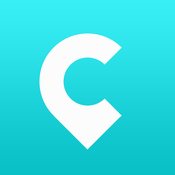 Core Idea – A personalized event discovery app for users to discover events based on interests, proximity and dates. Benefits to Users – Users can browse through different events. Also they can subscribe to know of upcoming events of their favorite performers and venues. Users can also book tickets through the app. User Experience – The app has a clean and easy to use interface. Competition – Event discovery is a competitive space. Also expanding into new geographies is difficult owing to local competitors.